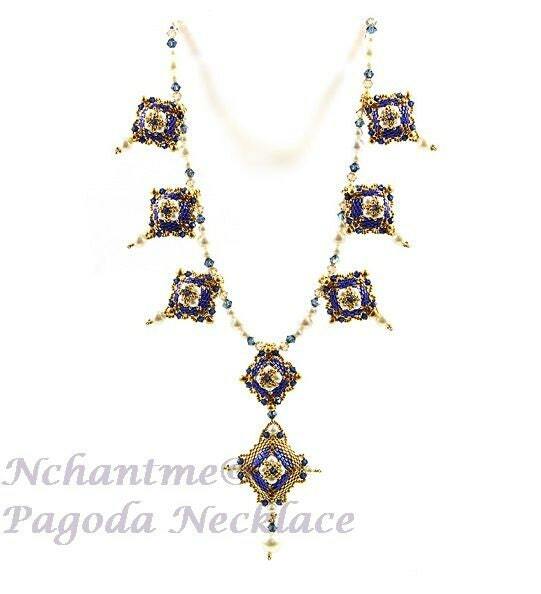 Pagoda Necklace is a glittering display of gold and jewel colored beads. 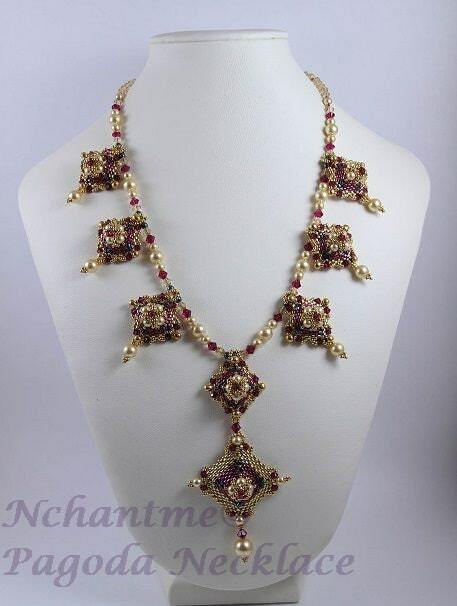 Small, dimensional pyramid-shaped units in gold and ruby seed beads are embellished with Swarovski crystals and pearls. Full of intricate detail not unlike the pagodas of Asia, this necklace combines elegant beauty with exotic style. Mostly peyote stitch. Suitable for Intermediate level beader. Detailed instructions in English with 31 step-by-step digital illustrations included in the tutorial. Materials such as beads and findings are NOT included with this purchase.